There are so many ways to introduce technology in your homeschool whether it be science oriented, user oriented (like tablets and computers), or even assistive devices for special needs students. 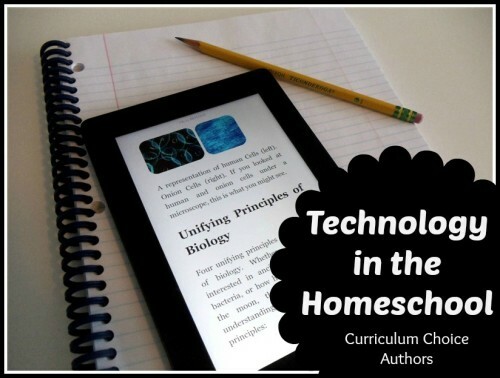 Today Curriculum Choice authors are sharing how we use technology in our homeschools. 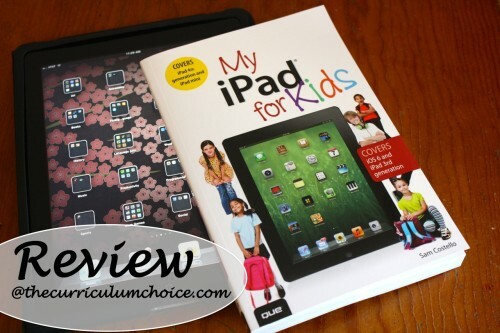 Ten Reasons to Use a Kindle in Your Homeschool Part 1– A list of reasons to have an eReader on hand in your homeschool. We use them to read classics and short stories in the public domain. From assignment to reading time there’s about 30 seconds lag. That is a win! 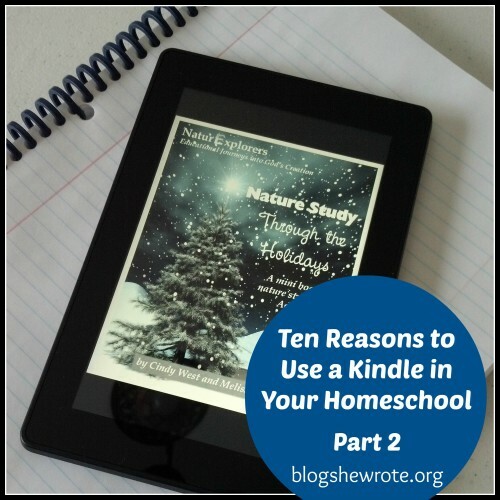 Ten Reasons to Use a Kindle in Your Homeschool Part 2– The tablet form of a Kindle allows my high schooler to use his open source online science texts. It’s much easier for him to work at a table than to be hovered over a keyboard on a pc. Embedded videos can be watched right along with excellent graphics and sound. Benefits of Using LEGO Minstorms in Your Homeschool– Everyone loves LEGOs and the Mindstorms kit introduces kids to programming and robot construction. Check out this list of reasons we invested in LEGO Mindstorms. Tips for Using a Digital Microscope– Not only will you find how to use a digital microscope, but you’ll find great tips on how to use a microscope in general. Digital microscopes are easy to use with multiple kids and allow you to take still photography of the stage as well as video! Internet Filtering & Access Control– A three part series written by my husband Dan on how we filter content and control access to our wifi from our kids’ devices. With each child having either a small handheld device or a tablet and having access to school computers and laptops, we wanted to be able to limit their access to wifi at the router level. The background information and instructions he shares will help you as the parent take intentional steps to keeping an eye on your internet usage on your home network. GloBible App Review – I have a confession to make. I no longer carry a Bible with me to church. We have discovered a stunning Bible application. 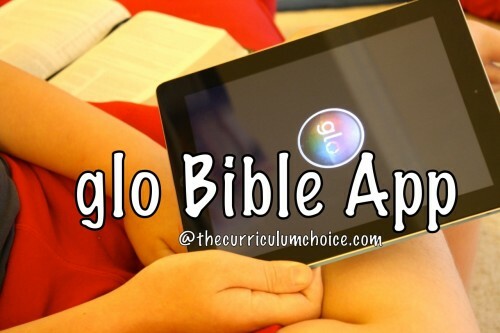 The Glo Bible, by Immersion Digital. Glo is an interactive digital Bible that brings to life the scriptures with high resolution images, HD video, maps, virtual tours, and customizable reading plans. Glo also has social media features, so you can share your Bible study with your friends on Facebook or Twitter. Taming the Wild West: Defense in Depth – Those Pesky Mobile Devices – In a recent post on Passionate Purposeful Parenting entitled Defense in Depth, I wrote about the methods we use to protect our children from the “wild west” of the Internet. The techniques I mentioned work very well for our computers and other devices in our home. But what about those pesky mobile devices? You know the ones I’m talking about: iPhones, iPads, iPods, even laptops. How can these devices, that can “roam” to foreign wireless networks be protected with equal vigilance? How do we ensure that the “wild west” doesn’t reach us when we’re mobile? Homeschool Programming: Teen Coder Review – TeenCoder: Windows Programming teaches the fundamentals of writing computer programs. The course uses the Microsoft C# programming language. It is designed for high-school students who want to learn computer programming. Lynda.com Online Training Library – Lynda.com is a subscription online training library. For $25.00 monthly, over one thousand courses can be viewed online. There are classes from beginners to experts. You can pause, rewind, view one tutorial at a time or view an entire course in one area. LEGO® Education WeDo Robotics Review – The goal is for students to build simple machines – with working motors and sensors. The children also program their models using the WeDo Software v1.2. The electronic activity pack, includes 12 activities, and explores four different themes. [email protected] Education StoryStarter Review – LEGO® Education StoryStarter set is very easy to use for all our ages and a wonderful introduction to story building, language arts and creativity. The goal is for students to create stories – both written and oral. The children can also create stories with the LEGO StoryVisualizer software, which is included. Build and create with a LEGO Education set and the computer? We knew we’d like it. 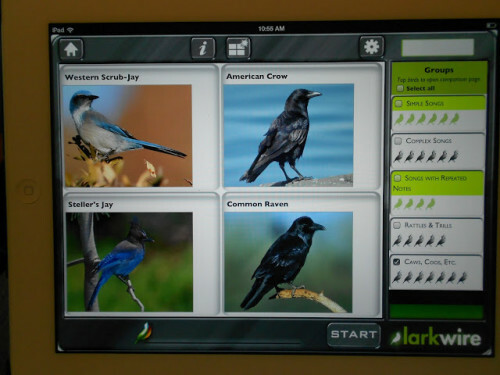 Backyard Birder and Master Birder App – These two fantastic apps will create bird lovers in your family. Read my review and tips. Nature Study and Digital Photography – We live in a world of “wired” children….they have a lot of screen time each week as part of their normal routines. How do we get these children to move from their indoor screen to one that they can take outdoors? Videography in High School – We are building our own videography course as an elective for my high school age son. We are using Corel Paint Shop Pro software along with his own video camera and imagination to put together a year long course. High School Projects – Robots, RC Planes, and Game Making – Sharing our family’s technology projects. Tech Free Night – We sometimes want to take a break from technology in our family. With older ones, technology can get in the way of serious family time. 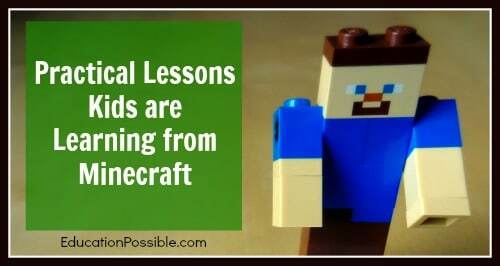 Practical Lessons Kids are Learning From Minecraft – Educators are using Minecraft to teach creativity, social skills, team building, collaboration and more! Learning History with Disney Education “The American Presidents DVDs” – These unique videos offer a funny and memorable look at each person who has held the office of President of the United States. Starting our Homeschool Day with CNN Student News – Now that our children are getting older we’ve decided to give them an opportunity incorporate current events into their daily lessons. Learning Science with Disney Imagineering Videos – This year we are not using a textbook to help our children learn about science. Building Life Skills with FIRST LEGO League (FLL) – Yes, your children will learn about robotics, science and engineering with FLL, but they will also build important skills such as problem solving, team work, and gracious professionalism. Early Elementary Technology Project – Even young children can learn how to create great “research” projects using the internet and Word! Newsletters: A Writing Project – This post is one example of how our family utilized monthly newsletters created in Word to learn writing, graphic design, typing and computer skills. Around the World Series – This post is not strictly about our use of technology in the homeschool. You will notice at the bottom of the post, however, how we’re utilizing YouTube and other information search functions on the iPhone as part of daily learning with my youngest child. 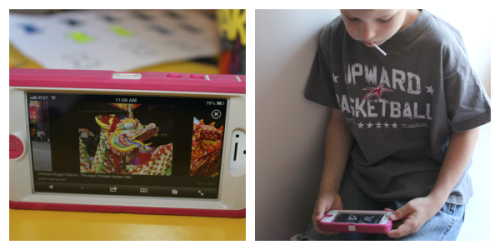 The use of the iPhone in school happens multiple times a day in his 1st grade education. My, how times have changed over the past ten years alone. Have you enjoyed this special post from our review authors? Our Curriculum Choice review team features a topic monthly. You can see all that our authors have shared on electives, math, curriculum choices and more under Review Team Features. Heather, thanks for this. I’ve dug around your blog for tech info recently (knowing that both our husbands are in the industry), and now it’s all in one place! Thanks so much. Great resources! I love finding articles about tech and homeschooling. I’ll have to read through some of these to get some ideas for my podcast.